While their name suggests a relationship to the small goats you imagine on a farm, mountain goats are in a class all their own—literally. Among the 32 species in the Caprinae subfamily like muskox, antelope, sheep, and goats, mountain goats are the only species in the genus Oreamnos (derived from the Greek word for mountain). And they are in their own category for a good reason. Mountain goats live in a habitat that almost none of the other Yellowstone animals could survive: the sheer cliff faces of the North American mountains. These goats are best known for their incredible rock-climbing abilities. 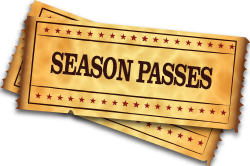 They can pick out invisible paths across steep slopes and craggy rocks all in search of scarce vegetation. 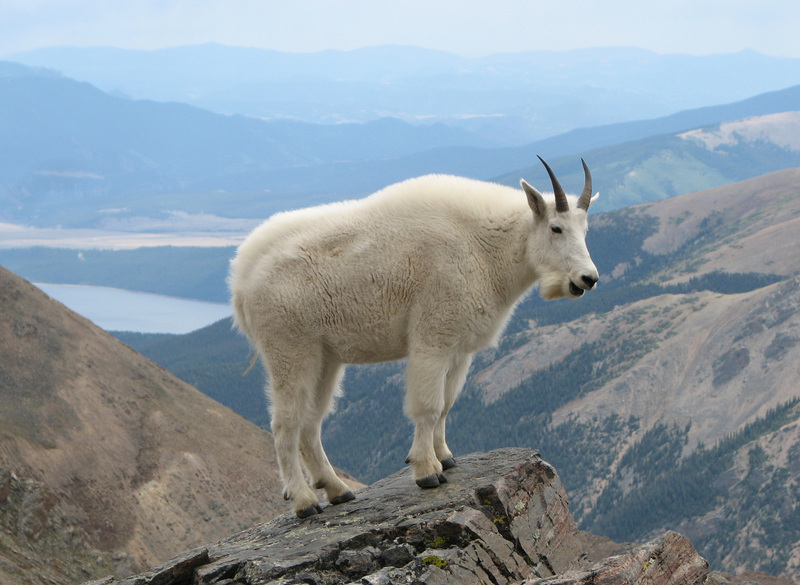 Every part of the mountain goat’s body plays an important role in the animal’s survival in such a dangerous place. Their eyes have unique rectangular pupils that have excellent peripheral vision so they can see every possible route up a cliff. Their horns curve backward over their heads like helmets to cushion a fall. Their hooves are cloven and flexible with rigid outer edges to catch small ledges and soft leathery pads to grip steep surfaces—much like suction cups. Lastly, their wooly double coats, made up of dense fur and hollow outer hair, keep them warm in the wind and snow of their mountain homes. 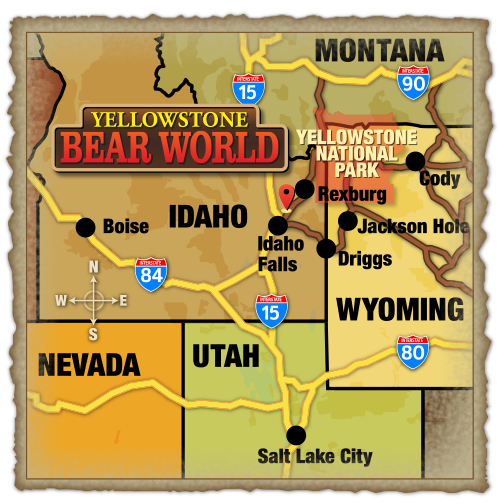 The mountain goats at Yellowstone Bear World represent the only species of Yellowstone wildlife that doesn’t actually belong in Yellowstone. Before the 1940s and 50s, mountain goats lived naturally from southeastern Alaska to the Columbia River in Washington, as far east as Idaho and western Montana, and north into southern Yukon. However, in those decades, the species was introduced in areas just outside of its native range. 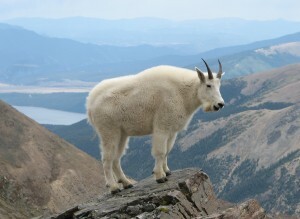 By the 1990s, a mountain goat population had developed in Yellowstone National Park. Because the park is dedicated to the preservation of native Yellowstone animals, mountain goats are actually considered quite a nuisance. But as long as mountain goat populations don’t threaten those of other species, they furry mountain climbers are here to stay. Since mountain goats live so high into the mountains, your chances of seeing them in Yellowstone National Park are slim to none. But that doesn’t mean you have to miss out on these amazing animals. Come to Yellowstone Bear World and see our mountain goats face-to-face. Maybe you can pick up a few rock-climbing tricks from them.